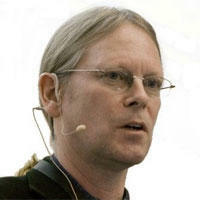 Dr. Dave Raggett is a member of the W3C’s European staff and is based in the UK. He currently focuses on the Web of Things and Web Payments. He has been involved in several European projects including PrimeLife, Serenoa, Webinos, MediaScape and Compose. Dr. Raggett has been closely involved with web standards since 1992, including early work on HTML and HTTP, and work on MathML, VoiceXML, multimodal interaction, model-base UI design, and device APIs. He was educated at the University of Oxford, followed by assignments at the University of Edinburgh, Imperial College and MIT, along with industry experience at HP, Canon, Openwave, Volantis and JustSystems. He is a visiting professor at the University of the West of England. In his spare time Dave enjoys scuba diving and dabbling with developing experimental software.